During your initial consultation, we will take x-rays and use specialized imaging tools to get a clear picture of the positioning of your wisdom teeth. We are committed to making your experience a great one! Thanks to rapidly advancing technology, new medicines, sterilization and infection control options, Dr. Rothman, Dr. McKay and Dr. Smalley are able to perform the procedure in a way that promotes quicker healing and minimizes pain. Prior to your wisdom teeth removal surgery, we will send you home with very specific pre and post-surgical instructions so that you know what to expect. Anesthesia: Most people prefer to be sedated for the procedure, however we do offer a variety of levels of anesthesia to accommodate personal preferences. We are trained and highly experienced with anesthesia to provide you with a safe and comfortable experience. Bring a Parent (or responsible adult): It is necessary that you bring a responsible adult with you to the office and that they remain with you throughout the day. We will not be able to release you alone. Medications: Make sure you have your pain medications (over the counter and prescription if necessary) ready to go for when the anesthesia starts to wear off at home. When You Get Home: You will feel sleepy for the remainder of the day. 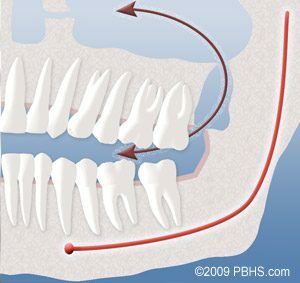 You may have numbness in the jaw (which shouldn’t be confused with nerve damage) and possibly a sensation of your gums feeling swollen and pulling away from your teeth – all of this is a normal part of the healing process. Foods: Specific instructions will be sent home with you regarding the reintroduction of foods. But, as a general rule, start with clear liquids and progress to other soft foods slowly. Avoid dairy products the first day, as they tend to interact with anesthesia, sometimes causing nausea. NO Straws: Throughout the healing period, you may not use straws (or tobacco). 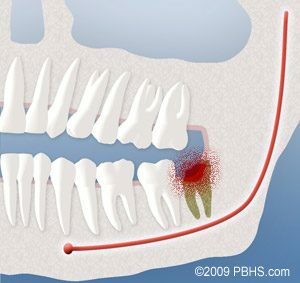 Using straws can dislodge the clot that is covering your extraction site, resulting in a very painful condition called “dry socket”. 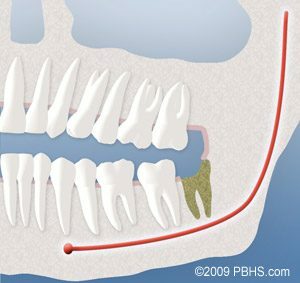 The length of your surgery depends on a variety of factors including the level of impaction of your teeth and the number of teeth being removed. However, most wisdom teeth extractions can be performed in about an hour. During that time you will be kept comfortable with anesthesia. Post-op soreness can typically be managed with over-the-counter medications, however all medication options will be discussed ahead of your surgery to ensure that you have adequate pain relief at home as the anesthesia wears off. Pain radiating to the ear, cheek, etc. Bad breath or unpleasant taste in the mouth. Visible bone or an empty-looking socket. Signs of infection include fever, worsening pain and swelling. 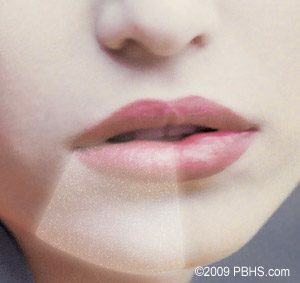 It is normal to feel some numbness or tingling in the lower lip, chin or tongue following surgery. However, very rarely, sensory nerve damage occurs that causes the sensation to stay permanently. Having your wisdom teeth out early (before 18) lessens the likelihood that this condition will develop – another reason to take care of this important procedure during the teen years! Because the upper wisdom teeth are so close to the sinus cavities, occasionally an opening appears between the sinuses and the mouth following extraction. This “hole” will usually close on its own, provided that you follow specific instructions (avoid blowing your nose, sneeze with your mouth open) to avoid a pressure buildup in the sinuses for a few days. Very rarely, we must perform an additional procedure to close the opening.